This is an awesome idea! People are still buying print books and there are plenty of possibilities out there! Source: Sell Your Books To Non-Bookstores? If you’ve never worked with a beta reader you’re missing a great experience! Doing a ‘beta exchange” is another option where you read each others’ manuscript. I’ve received valuable feedback from my beta readers and enjoyed being a part of the creative process for other authors. If you have an outstanding beta reader they can even help find typos and other goofs which saves on editing. This is a great article with more detail. Welcome to another, You Asked, the Experts Answer, segment. This week’s question is: What are Beta Readers and do I need one? A Beta Reader is someone who reads your manuscript before you release it and provides feedback. Similar to technology companies who release software updates to Beta Testers for the purpose of identifying any bugs before releasing the software to everyone. A Beta Reader does the same sort of thing for you. It’s a test run of your manuscript. Is it the Same as a Critique? No. Critiques, are more in-depth and focused on grammar, plot holes, and the mechanics of writing. A Beta Reader focuses on reading your manuscript. Feedback received includes their overall impression and any glaring mistakes. They will also provide a review after the release of your book. Here’s an exceptionally well-done article on what’s involved if you want your novel to become a film. It’s probably the dream of just about every author, but in reality, it may be a different story (pun intended). Check it out. 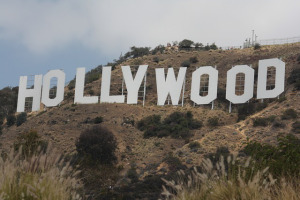 In this article you will discover the steps a novel must go through in order to be made into a film; you’ll gain a deeper understanding of the process and discover the elements that you, as an author, can control to have a positive impact on the chances of seeing your book on the big screen. This article will focus on the period of time before filming begins, since this is when an author has the most impact on the project. Once the cameras start rolling, the author’s role lessens greatly. One of the hot topics this week has been Brexit, Great Britain’s decision (at least England’s) to leave the European Union (EU). I find it interesting and perhaps a bit ironic that it came so close to the USA’s Independence Day, July 4. However, whether or not the decision will stand or be reversed via the Bremain movement is yet to be seen as more and more ramifications of the decision evolve. This was the perfect time to interview author and historian, Christopher Berg, author/compiler of a book of essays on the British Empire entitled “Small Island, Big History.” I love the cover, which was a real eye-opener regarding Britain’s conquests over the centuries. Truly, British influence is worldwide, something that’s easily forgotten today when Britain’s prominence has retreated since the last century. Let’s see what an expert on the subject has to say. MF: As a historian, especially with regard to the UK, did you see “Brexit” coming when the EU began to stumble a few years ago? CB: No, I did not, though in hindsight, the UK was reluctant to relinquish the British pound for euros as it would have diluted their purchasing power, but, aside from this, the only one who probably saw it was Niall Ferguson. MF: Do you think it was skepticism toward the EU at its inception that motivated the UK to retain its own currency and not accept the euro? CB: That might be part of the answer but such matters are rarely so simple or cut-and-dry. In an international context, the sovereignty of a nation must be maintained and to devalue, dilute, or jettison a national currency in favor of a new and untested common currency linked to dozens of other nations of varying economic strength and solvency was problematic for the British. MF: The British Empire influenced the entire world with its conquests, largely by planting substantial populations imbued with its culture throughout the globe. From South Africa to India, New Zealand and Australia, there is no doubt that the British have enjoyed a worldwide influence. While over the past several decades, independence has been granted to several commonwealths, some peacefully, others not so much, with its extensive history of imperialism, why do you think that the UK joined the EU in the first place? CB: Self-interest. That is the primary motivation for most first-world nations and, perhaps, many aspiring nations that want to join the ranks. And, it was an evolving economic reality and to keep markets stable and encourage and maintain good trade relationships with her continental neighbors, the British pondered long and hard about their entry into such an economic community. MF: Do you think there was a single coup de grace that drove England to withdraw from the EU? CB: The issue with many European banks bordering on the brink of collapse, the considerable economic tensions escalating with such countries as Ireland, Spain, Italy, and Greece, as well as the issue of a “bail-in” in Cyprus was startling news to many, including Germany. The specific issue or trigger is much more difficult to pinpoint, if there is one. Again, I would defer to Niall Ferguson, the imminent Harvard economic historian. MF: Britain’s conquests have been anything but friendly, which earned her a lot of opposition based on her reputation for an iron hand and brutal enforcement. Do you think being tromped during WWII took her entirely by surprise? What affect did that have on her subsequent policies toward her commonwealths and the world in general? CB: WWII caught Britain by surprise in some respects. The fall of Singapore, for example, suggests that they really had little intelligence on the “strength” or “state” of their empire. It was simply the leadership of Winston Churchill that gave the British people the moral resolve to withstand the Nazi threat in 1940-41 and the budding friendship of Churchill and U.S. President Franklin Roosevelt known as the “special relationship.” Churchill was willing to make many compromises in terms of relinquishing colonies, and, as a former Colonial Secretary, was more even-handed in his approach to the colonies. However, the shock of losing the empire after 1945 and the rise of self-determination brought a tough decision on how to move forward. The British had lost their preeminent position of the Victorian Age and, now with the rise of the United States as the world superpower, a new balance-of-power had been thrust upon Great Britain. Churchill’s prescience and a concern for home and social matters helped to ease the transition of Britain from a recognized world power to that of a secondary role. MF: The initial response of the financial markets toward England’s withdrawal from the EU was unfavorable for its currency. What do you think the long term effect will be, to strengthen or continue to weaken the pound? CB: I think that the move to withdraw from the EU was Britain’s response to growing uncertainty, the rise of international unrest, and economic instability in many EU-member countries. In the short term, I think this was a defensive move to maintain the pound’s position. The long term position is much harder to discern as economics is a volatile area that is very difficult to manage, much less be proactive about. MF: What lessons should remaining members of the EU take from England’s withdrawal? Do you think others will follow? CB; I do think that others might follow suit and others have expressed interest, such as Germany. The stronger economies will definitely begin to re-think their present position and the international effect is only beginning to be felt, even here in the United States. MF: What effect will this break for freedom have upon England’s citizenry? Do you think it will restore their pride and increase nationalism in a dramatic way? CB: So far, it has shown to have a galvanizing effect upon the British people, a sense of renewed solidarity, and, perhaps, even a return to protectionist policies. If you’re looking for some books with substance, check these out! 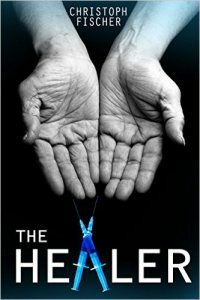 THE HEALER is now available as audiobook on audible.comitunes and Amazon ! If you would like to listen to it for free in exchange for a review please leave a comment and I will contact you. I have three fairly basic criteria that will earn a book an instant 5-star review: It makes me laugh, it makes me cry, and it keeps me up past my bedtime. As you have probably guessed, “Stealing Time” definitely hit the mark. I also have tremendous respect for an author who takes nine years to bring a book to completion. Now, of course, this is really bad news if you have to wait that long for the next episode, which hopefully won’t be the case! But IMHO, there’s a certain richness that a novel achieves with time versus those that are kicked out in a few weeks. No offense to those who do so, of course, I’m probably just jealous, because I’m another one who takes a while to finish up a book. Sometimes much longer than nine years, but that’s another story. What I’m getting at is the quality of the characters, imagery and plot details show when a book, like a fine wine, has aged a bit, giving the author time to rethink, embellish and perfect their story. Yeah. Like a fine wine. As a time travel story, this one is outstanding. The mechanism that transfers the heroine, Ronnie, back in time is in the realm of science fiction, i.e., credible, but not belabored. Thus, this is not true science fiction fodder, but more in the realm for those who love historical fiction since the majority of the story takes place in 18th Century England with some flashbacks (or would it be flashforwards?) to Florida enduring Hurricane Charley, back in 2004, which precipitated the transfer. The research for this period of time was incredible. The reader is truly transferred back in time to a world so different than ours it feels like another planet. If you don’t think the world has made any progress in the past two hundred fifty years, you definitely need to read this book. While today’s world definitely has its problems and fundamental human nature doesn’t change, it’s incredible to get a glimpse of what England was like back in 1752. Wow. I, for one, am reminded how lucky I am to be living in this century. There are plenty of undercover lessons here, too, with regard to superstitious and unreasonable beliefs that drive a culture, in this case the ridiculous view of what qualified a woman as a witch and how she was subsequently tried and treated. Chilling and horrifying are the first words that come to mind. The imagery and action was absolutely breathtaking, especially the last fourth of the book, at which point I just sucked it up regardless of the late hour and finished. Since this is the first book in a trilogy, I knew everything wouldn’t be solved, but it did provide a satisfying ending, though there were certainly plenty of unanswered questions to drive the reader’s hunger for the next volume. I highly recommend this well-written story to anyone who loves a thriller, historical fiction or romanticizes the past. Believe me when I say we have come much farther than you may think. Could These Five Words Change Your Life? I’ve always been a fan of quotations. What’s not to admire about expressing something profound using the fewest possible words? For a long time my favorite was No life is ever wasted. You can always serve as a bad example. To me, that represented the ultimate in positive thinking, though the lesson was often missed as evidenced by the ever-increasing prison population. Along similar lines is a short one that came to me while I was writing A Dark of Endless Days, second volume in the Star Trails Tetralogy. It’s another expression of optimism, perhaps even a follow-up to the wasted life. To wit: No mistakes, only detours. In other words, fix it and move on. Read it again. Has it sunk in? Anyone who has ever been in a relationship with someone who didn’t understand the concept of boundaries should understand. If you’ve ever been taken advantage of, it’s time to consider whether it was (or is) simply because you allowed it. Whether it’s your nosy neighbor, lazy spouse, obnoxious teenager, critical mother-in-law, or some unscrupulous political figure, the same five words apply. People will try to get away with as much as they can until something stops them. Of course there are situations, such as those involving abuse, particularly of a child, where the victim doesn’t have the power to stop it. In this case, it’s the duty of others, possibly relatives, possibly society, to step in and assure that it stops. That shouldn’t be rocket science. Some things are simply wrong and need to be stopped. Period. In some cases, by whatever means necessary. I particularly thought of this quote when I saw a headline the other day that stated France is shutting down 160 mosques. A shocking number of weapons and ammunition have since been found as well as various other evidences of terrorist activity. France, clearly, understands the concept. In the perverted name of political correctness the USA has clearly lost touch with this concept. The key, I suppose, is when a situation becomes sufficiently intolerable that someone demands that something be done. This is extremely amazing in so many ways. What’s particularly interesting is how well this fits with the astrological archetype for Pluto which relates to things hidden beneath the surface. Assuming it’s water, that fits beautifully with Pluto’s modern sign rulership of Water Sign, Scorpio. I have two Bengal cats, Hamlet (shown above) and Ophelia (below), who are half-siblings and ten years old. This isn’t considered old for a breed that supposedly lives to be 20, but both have developed hyperthyroidism. Symptoms included weight loss, increased appetite, throwing up and somewhat erratic behavior. While I learned on PetMD.com that hyperthyroidism was relatively common for cats over 9 years old and therefore the likely cause, as a responsible pet owner I nonetheless wanted it confirmed by my veterinarian. So I started with Ophelia, who had gotten especially skinny. Somewhere in the vicinity of $1400 later, I was told she had hyperthyroidism. <sigh> She is now on medication that costs more than mine, her lab work is in normal range, but she still hasn’t gained weight, even though she’s eating about 50% more than before. I should be so lucky to increase my intake like that and lose weight! In my dreams! So, as my budget allows, Hamlet will be next. For now, I have him on an herbal remedy I found online for hyperthyroidism. In spite of the fact they claim it has “bacon flavor” it smells like a distasteful herbal remedy. I put 50 milliliters in his food twice a day, which of course annoys him since it apparently makes it taste funny. If you have a cat, then you know how they are about strange smells and tastes. The good news is since they’re hungry all the time, he eventually eats it. The bad news is that I’m now feeding these two four times a day instead of twice. The even-worse news is that sometimes their midnight snack doesn’t hold them long enough so breakfast occurs on demand at 6:00 or 7:00 a.m. As a retiree, trust me when I say those times are now considered in the middle of the night. Bengals are typically 1/8 Asian leopard, giving them some wild blood. This accounts for their interesting spotted and marbled patterns and coloration, plus their behavior is different than the usual garden-variety feline, too. For example, Ophelia will fetch her toys like a dog. She has a propensity for tight places, which has resulted in numerous near-emergencies over the years. They can jump like you wouldn’t believe, love high places, like on top of cabinets, and they’re quite vocal. Even as I write, Hamlet is standing in front on my computer monitor meowing for his afternoon snack. This is often not a normal “meow” but more of a howl-yowl-growl medley that sounds downright creepy to the uninitiated. And that sound at o’dark:30 is pretty grating. Upon exiting dreamland, my first response is usually to yell, “Shut-up, Hamlet!” That works for about ten seconds. He persists, and when I still don’t get up, he starts to play dirty. He starts digging on my top-down/bottom-up window shades which are quite vulnerable to his claws. That gets me out of bed, and usually in a less than happy frame of mind, as I stumble into the kitchen, haul out a can of cat food, and dish it up. Usually that shuts him up and I get to go back to sleep for a few more precious hours. So a few days ago, I wake up to the usual howling and notice it’s still dark outside. I check the clock: 5:15 a.m. I am not a happy camper. We exchange the usual dialog with me finally serving their breakfast along with various uncomplimentary comments. I go back to bed, just get comfortable, and the yowling starts again, punctuated as usual by molesting my blinds! OMG! I am furious! How dare he complain about the food at this hour? He persists, I get up again, do some more yelling and even give him a well-deserved swat so he jumps down from the windowsill and away from the blinds. At which point I notice that it’s amazingly light outside. Really bright. What the heck was out there? I push up the shade and get a brilliant blast right in my face. The Full Moon, listing toward the western horizon. I live in the country where it’s dark and it was an amazing sight, especially over the lake, where it was reflected in what can only be described as incredibly breathtaking. I enjoy it, awestruck, for a few magic moments, then finally go back to bed. Later that day, in complaining to my neighbor, a fellow pet lover, about Hamlet’s antics that morning it suddenly all made sense. Hamlet wasn’t asking for breakfast at 5:15. He was telling me to look at the Moon! Stupid human! Of course I felt horrifically guilty for yelling insulting names at him, to say nothing of that swat on the behind. I’d never seen anything quite like that Solstice Full Moon before and neither had he. He’d been pouting under the coffee table all morning, so of course I gave him a profuse apology accompanied by a peace offering of some fresh catnip from the yard. But I still felt incredibly guilty. There are so many little details that most people miss about sunrises and sunsets. For example, many pay no attention to how far the Sun moves along the horizon during the course of the year. Since I live across from a huge lake, it’s easy to note when it sets all year long and the difference between the solstices is amazing. Here’s a little more information about these turning points of the seasons you probably didn’t know. Here’s a natural phenomenon you might never have imagined. That is, the sun actually sets more slowly around the time of a solstice.